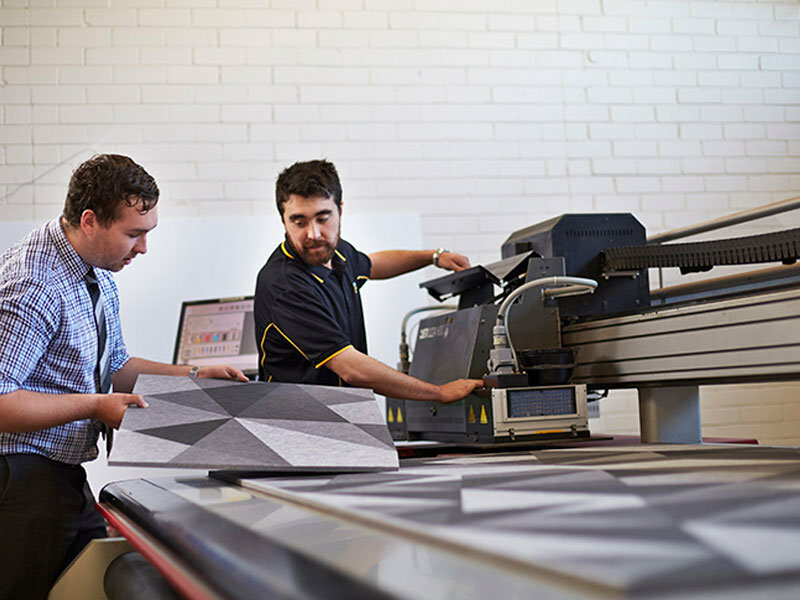 With the best printing technology in Perth, we deliver photographic quality print results second-to-none. We strive for perfection, ensuring colour consistency and a sharp finish for our clients and their brands. We can print on almost any material or substrate including: wood, canvas, plastic, fabric, foam, metal, perspex, glass, corflute, self-adhesive vinyl, mesh and more! Who says size doesn’t matter? 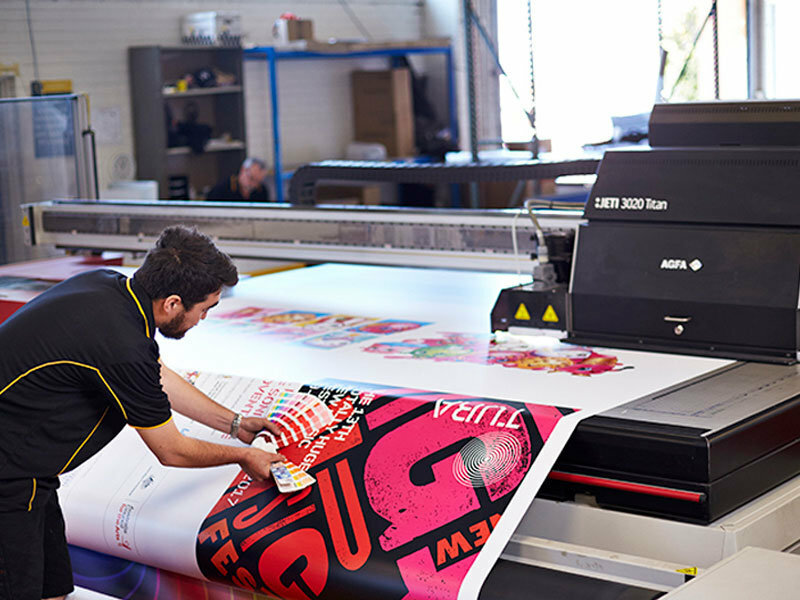 Big is always better when it comes to large format printing and we boast the biggest and best printer in Perth. 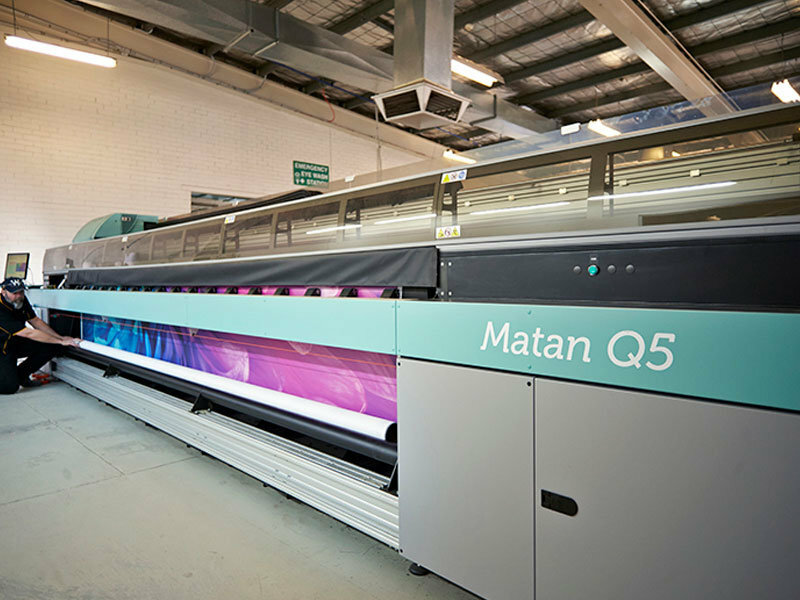 Our Matan Q5 allows us to print up to 5 metres in width. This means the integrity of your large format printing isn’t compromised with join lines. Printing white ink is a speciality of ours, and we are one of only a few offering this service in Perth. Our clients love the beauty of lush white ink printed on clear and coloured substrates. White ink is particularly suited to window graphics where opacity levels can be altered to achieve unique results.